Angel and Demon was a personal project of mine that began and was completed in approximately 4 months in 2011. The project consists of five 1 minute episodes in which I performed all the duties of modeler, character TD, animator, renderer and compositor. The series was an experiment in creating simple and fun cg animation that could be completed quickly and by one person. The series was essentially a stepping stone for me to develop techniques that would be used in the production of Skullingtons. Without the practical research and development on this series, Skullingtons may never have been complete. The five episodes are presented below. Angel and Demon rig example. - FK spine and head. - Combined Joint and blend shape face rig. - Squash, stretch, bend and twist head deformations. 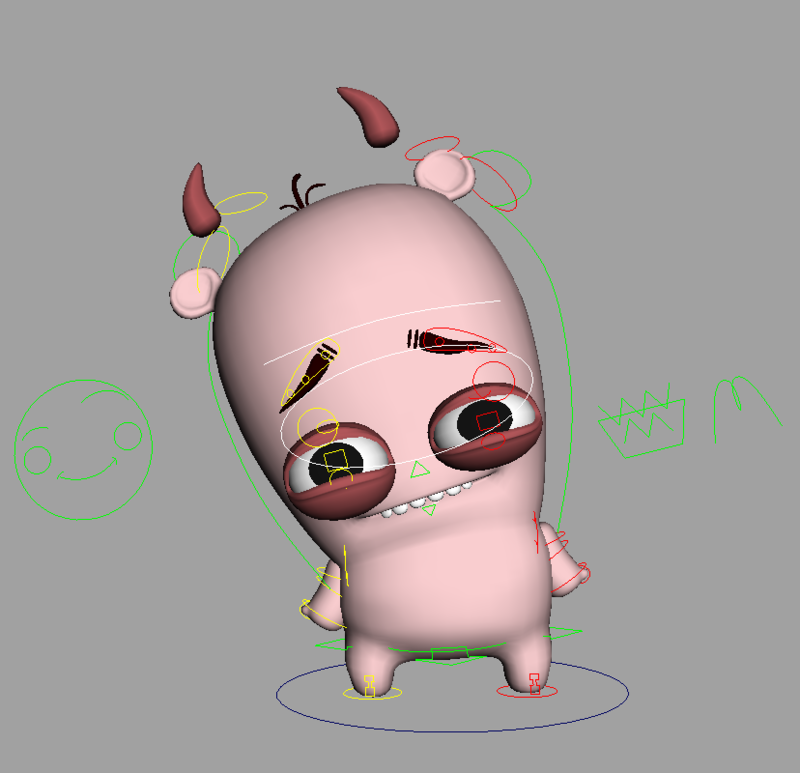 This rig was designed for very quick, simple and cartoony animation. It was created to provide maximum control with the fewest joints and attributes possible.